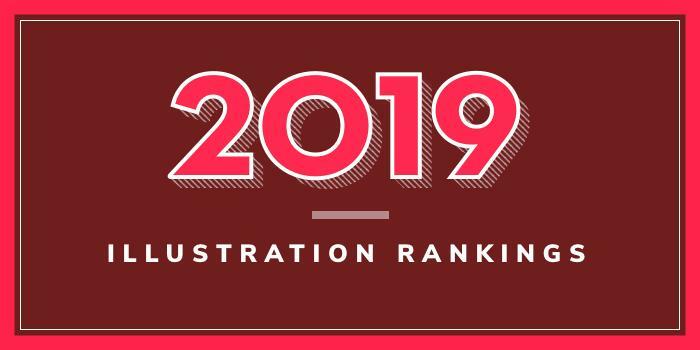 Our 2019 rankings of the top illustration school programs in Michigan. For an explanation of the ranking criteria, click here. The College for Creative Studies (CCS) was founded in 1906. The school serves more than 1,300 students enrolled in over a dozen degree programs across 14 academic departments. Programs for aspiring illustrators are offered through the Illustration Department. Options include a BFA and a Minor in Illustration. An MFA program is also available. Sample courses for the program include Anatomical Figure Illustration, Digital Fundamentals, Figure Illustration, Illustration Techniques, 3D Techniques, 2D techniques, and Visual Narration. Students in the minor will choose five courses (15 credits) from the BFA curriculum. Other BFA program highlights include access to a large network of key industry players via alumni, sponsored projects and a faculty of freelance illustrators, creative directors, art directors and concept and storyboard artists. Students also have the opportunity to complete an internship. Previous internships include Anthropologie, Cartoon Network, Diane von Furstenberg, Disney Consumer, Fisher Price, Insomniac Games, Mattel, Spark, WJBK Fox 2 News, and others. Founded in 1928, KCAD is located in Grand Rapids, Michigan. The school serves more than 1,000 students enrolled in around 24 BFA, BS, MA, MFA, and Certificate programs. Among these programs are two offering for aspiring illustrators—a BFA in Illustration and a BFA in Medical Illustration. Launched in the 1960s, the BFA in Illustration teaches students to master multiple illustration techniques in both traditional and emerging media. Sample courses for the program include Digital Illustration Painting, Illustration Life Drawing, Illustration Professional Practices, Illustration Techniques, Rendering, and Watercolor Techniques for the Illustrator. Program highlights include focused study of illustration, participation in the KCAD Illustration Society, and access to KCAD galleries, labs, and the Urban Institute for Contemporary Arts (UICA). Students also have opportunities to participate in summer travel/study experiences as well as internships during the academic year and summer. Graduates of the program are prepared to pursue careers as a freelance illustrator, as well as art director, cartoonist, editorial illustrator, fashion illustrator, mural designer, storyboard illustrator, and many others. The BFA in Medical Illustration is a three-year program that consists of classes from KCAD, Ferris State University, Grand Rapids Community College, and Michigan State University. Students in the program will take a combination of Art, Communication, and Science coursework. Students will study Anatomy, Biology, and Medical Terminology, illustration techniques such as include All-Digital Illustrations, 2D Animations, Traditional/Digital Hybrids, Traditional Drawing Methods, and 3D (Digital) Modeling, and Visual Communications. Graduates of the program are prepared to seek intermediate to advanced positions in the field or for further graduate or professional level study.